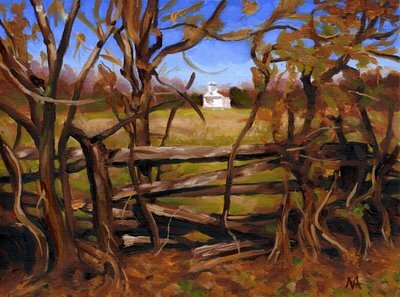 That's a church back there, but there's a fence and a bunch of brambly stuff in the foreground, blocking my way. I'll refrain from interpretation, but I did notice this with amusement. I do know that I like bramble. I have many bramble photos in deep shadow with delicate sunlit areas. Eventually, I will paint that series (I heard those groans). The photo was taken a year ago last fall, in Old Bethpage Village on Long Island, NY. I love that place (duh). I painted this a couple weeks ago. Now I have turned my attention to Oregon, and have a few studies underway of some meadow areas on Mt. Hood. I will use these studies to produce some large paintings. My goal is to post something 3 times a week, but I know to get there I'll have to become more disciplined and stick to my schedule. I know this is possible, but it'll be a stretch. Thanks to all who peek in here from time to time. 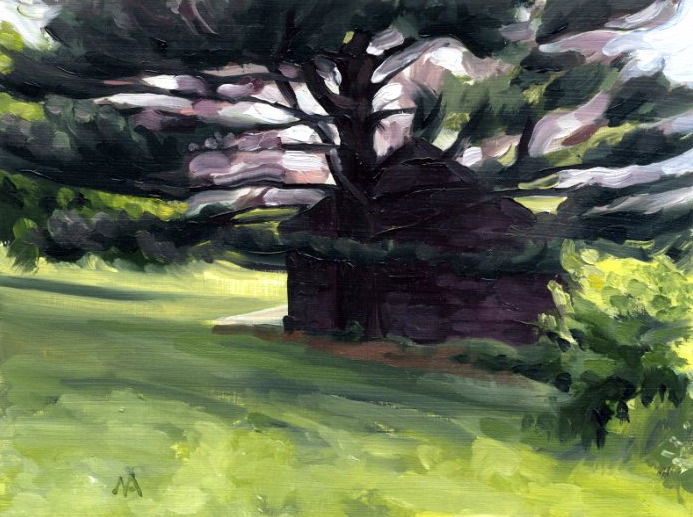 This is the same shed that appears in my previous painting, Old Bethpage Pine. 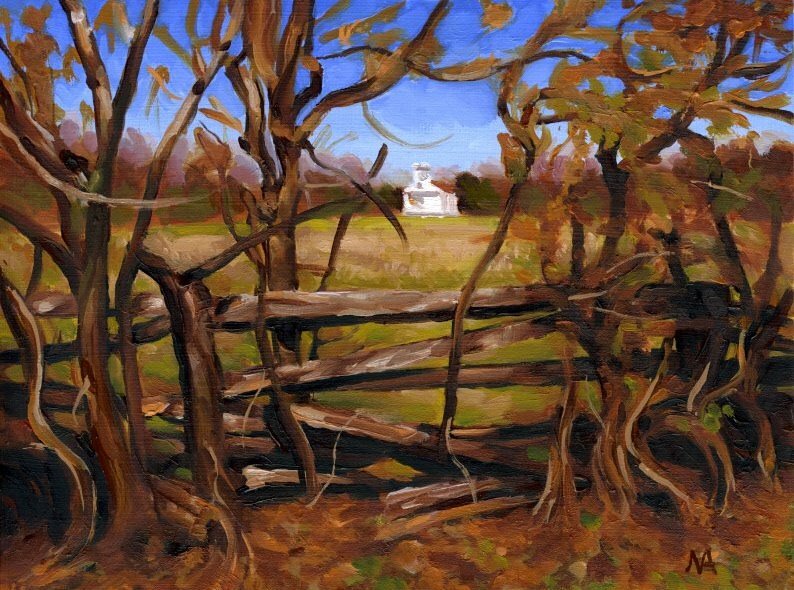 Perhaps I was born in the wrong century, or maybe I want to live in a more rural environment. I'm very attracted to scenes like this. I would like this building to be my studio, with big doors I could have open in nice weather, and hopefully friends and neighbors who would visit for coffee or a beer in the evening. Maybe someday.